When a friend or relative is arrested in Dublin it is possible for the individual to be released through bail following the arrest. This is accomplished through the provision of a bail bond immediately after the arrest. The moment following the arrest is a very important time to seek out the advise of a seasoned professional to make sure that the details of the bail bond are accurately reviewed and processed. 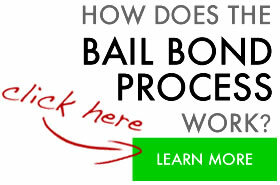 Dealing with the posting of bail can be a difficult situation, but you have an alternative. With the assistance of an experienced bail bondsman in Dublin the impact to your time and energy is minimal. We know you have family and work demands, and the responsibility of posting bail may seem overwhelming. Premiere Bail Bonds has more than twelve years experience helping people just like yourself. We extend to you our skill and knowledge to ensure that the experience of posting a bail bond for a friend or relative goes as smoothly as it can. When you decide to assist someone with posting a bail bond in Dublin, you are acting as “surety”. As surety you can offer cash, property or other assets as guarantee to the court that the defendant will appear in court on the date required and at the location appointed. For this reason, it is critical that you seek our accurate advise on the steps involved with posting a bail bond as you are undertaking implications for your property and assets. Before you make any decisions on behalf of your friend or relative, it is important that you understand the legal and financial responsibilities that go along with bail. As an experienced, family owned bail bond agency we work with you and explain in easy to understand language, all that you need to know about the process. For over 20 years we have serviced Alameda County and the rest of California. We have spent those 20 years building many relationships all over California with Jail staff and bonds clerks. If you need fast answers with world-class customer service you have come to the right place. Premiere Bail Bonds, it says it all in our name! 800-662-0056.